Most homeowners insurance policies do not cover earthquakes. If an earthquake hits, and you do not have earthquake coverage, you are not protected. The need for earthquake insurance in high-risk locations is a no-brainer. Although places like California and Japan offer special earthquake assistance, government disaster-relief programs are extremely limited and are designed to help you get partly back on your feet, but not to replace your home and everything you lose. Thoroughly researching your earthquake policy options will ensure that if a earthquake does hit, you will be protected. 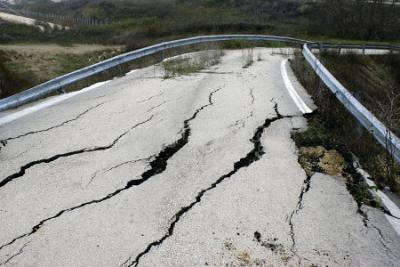 High Desert Insurance will search the country to find you an earthquake policy that meets your needs. Rates for earthquake insurance typically depend on the materials used to build the home and the age of the dwelling, nearness to fault lines, and amount of home equity. Homeowners are also encouraged to "retrofit" or reinforce their homes to meet seismic safety standards in order to minimize earthquake damage and keep insurance premiums low. No one likes to think about it, but earthquakes are a part of life. In a high-risk area, prevention is impossible, but protection is available. High Desert Insurance can provide you with an earthquake insurance plan you are comfortable with and confident in.